Anorexia nervosa is an eating disorder in which the individual, typically a female, uses self-starvation in an attempt to lose weight. The diagnosis of anorexia nervosa is rare, but distorted body image, a primary feature of anorexia, is not. Most of us want to shed a few pounds. This may be especially true during adolescence, when our appearance takes spotlight in our attempts to figure out who we are. At any one time, more than two-thirds of girls in high school are dieting. For some, losing weight becomes an obsession that is not satisfied with the loss of a few pounds. Some develop an eating disorder known as anorexia nervosa. Although anorexia nervosa receives a substantial amount of press, the American Psychiatric Association reports that it is diagnosed in less than one percent of the population. Then why the press? Because it is salient. Anorexia afflicts people who appear to be quite successful and have everything going for them. It is this sense of success and perfectionism that drives anorexia. Also, many cases of anorexia nervosa persist without a diagnosis. Researchers have estimated that 18 to 20% of school aged girls show symptoms of an undiagnosed eating disorder. Studies have shown that 70% adolescent girls are unhappy about their weight or body shape and desire to be thinner. In one study, more than one-third of normal weight girls believed that they were overweight, including five percent who were actually underweight. It may not be surprising that anorexia nervosa is diagnosed in women ten times more often than in men. The average age of onset is 17. Excessive weight loss from dieting and exercising. Specifically, a weight that is 15% below the minimum normal level based on age and height. Distorted sense of body image. The person with anorexia nervosa perceives herself as fat, no matter how much weight she loses. Intense fear of gaining weight. This fear is not alleviated with weight loss. Amenorrhea, the absence of at least three consecutive menstrual cycles. One signal that a person’s weight has gotten too low is the appearance of lanugo. Lanugo is soft, downy hair that grows on the torso and body. It is the body’s attempt to keep warm. Anorexia patients often complain of being cold because their bodies haven’t enough fat for basic insulation and temperature regulation. These psychological consequences of anorexia nervosa may be partially rooted in the physical changes that the brain undergoes with starvation. Brain scans indicate that parts of the brain undergo structural changes and the entire brain shrinks. Nearly 20% of persons with anorexia nervosa die from the disorder itself, or complications arising from the disorder. It is a complex disorder with multiple causes that may be different for each person. Some theorists have pointed to sociocultural factors as potential causes for anorexia. Some theorists look to the family system. Self-starvation may be a girl’s attempt at asserting her autonomy in an overly controlling family system. Parents may have exceedingly high expectations that girls find difficult to live up to. Teens may starve as a way of exerting control over their lives and bodies. Most girls diagnosed with anorexia nervosa are perfectionists and extend their over achieving tendencies to weight loss. Weight loss may become a symbol of mastery. There may also be a genetic or biological component to anorexia. Biological relatives of anorexia patients are about eight times more likely to be diagnosed themselves. However, mechanisms of genetic transmission have not yet been identified. Anorexia nervosa often co-occurs with other psychological disorders that are known to have a biological component including depression and obsessive compulsive disorder. Some studies have shown the co-occurrence of obsessive compulsive disorder in over two-thirds of patients with anorexia. 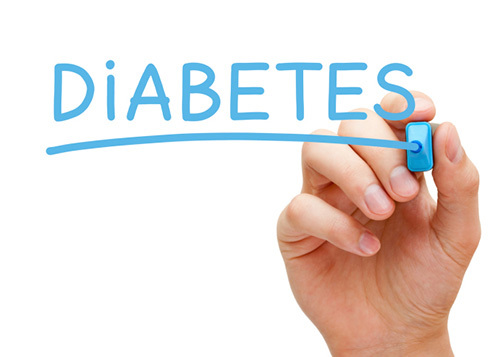 In these cases, the obsessions tend to focus on food, exercise, and dieting. The compulsions (behaviors that the patient engaged in to relieve anxiety) often include weighing food, cutting it into small pieces, or excessively chewing food. 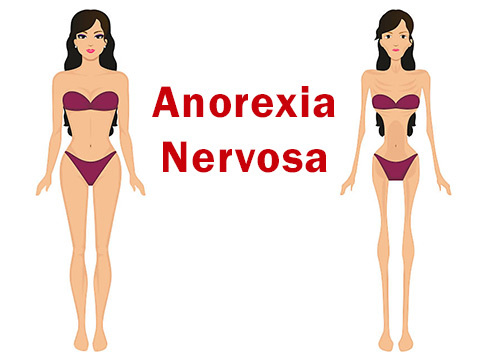 Anorexia nervosa is very difficult to treat because the patient denies the problem. What can you do if you know someone with anorexia nervosa? Encourage her to speak with a health care professional about treatment. Offer support by accompanying her. If she refuses, seek professional advice. Remember that you can’t force her to recover. Recovery is the patient’s journey and she must want to recover. Listen to her and try to understand how she feels. Offer her support and remind her that she is not alone. Once she begins recovery, don’t comment on her weight. For example if you say that she looks healthier, she may interpret it as looking fat. If you compliment her thinness, you may reinforce her dieting. Understand that it’s normal for you to feeling confused or angry. Try to deal with these feelings by writing in a journal or talking with others who have been in a similar situation. The Internet offers a wealth of supportive social network communities and bulletin boards. Anorexia nervosa can be devastating to both the patient and those around her. But there is help available. If you, or someone you know, show signs of anorexia nervosa, don’t be afraid to seek professional help.